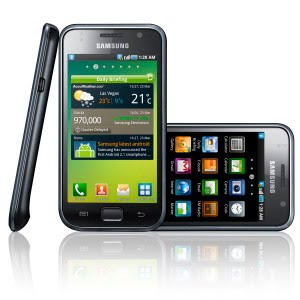 The Galaxy S immerses users in a world of rich multimedia. The large 4-inch Super AMOLED display delivers unrivalled screen quality, with less reflection, free viewing angles and super-fast touch-response. The mDNIe (mobile Digital Natural Image engine) – a technology used in Samsung’s best-selling LCD and LED TVs – boosts an even sharper and crisper viewing experience for photos, videos, and e-books. It creates a perfect environment to record, edit and play HD video, to browse the Internet, and to read your favorite e-books. A variety of applications from Android Market™ allows users to even more extend the benefits and excitement of smart phone experience. Plus, users have access to Google mobile services, such as Google Search, Gmail, and Google Maps.